APRIL 2019: April 23 – School Board Meeting at 6:30 PM April 24 - 6th - 8th Grade Career Fair 8:15-10:30 April 25 - 5th Grade Field Trip April 26 - Music Program 8:15 PK-4 th -9:00AM- 8th Grade Picture and Ad Sales April 27 - State Track . . .
State Testing Information At Friend School students will be tested in grades 3 rd through 8 th. Below you will find what is tested at each grade level and a 2018-2019 OSTP Parent, Student and Teacher Guide for each grade level. 3 rd Grade- Reading and Math 3rd Grade OSTP Parent, Student and Teacher Guides 4 th Grade- Reading and Math 4th . . . Friend Families, Staff and Community, The Oklahoma State Department of Education released the new Oklahoma School Report Cards. In addition to receiving information on academic measures, the report cards now include basic information about schools such as enrollment, location, and student demographics. Friend received an overall grade of “A” on the report card. You will be able to . 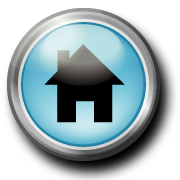 . .
Online Resources for Home Below you will find the different online resources you can use at home. The username and password for each program should be that same. Your child will use the same username and password they use at school. AR Home Connect: Check your child’s AR goal progress and even have an e-mail sent to you when they take an AR test. Practice Math Facts in . . . 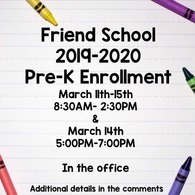 Friend School will have pre-enrollment for the 2019-2010 Pre-K program on Monday, March 11 through March 15t from 8:30 AM to 2:30 PM. There will also be an evening enrollment on Thursday, March 14th from 5:00 PM to 7:00 PM. Enrollment will be held in the office. To be eligible for the Pre-K program: 1. A child must be 4 years on or before September 1, 2019 2. Proof residence 3. a current . . . 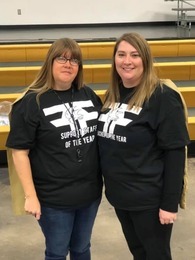 Friend School Names the 2018-2019 Teacher of the Year and Support Person of the Year Friend School is proud to announce the 2018-2019 Teacher of the Year, Susan Coble. Ms. Coble has taught at Friend School the past 13 years. She has served as the Librarian, and has taught 2nd, 4th, and 5th Grade. Susan takes care of our district website and Facebook page. She is often called . 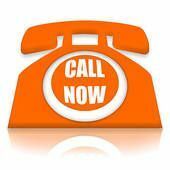 . .
One Call If you do not receive the One Call notices or you have changed your phone number, please call the school so we can input you in the system or update your information.